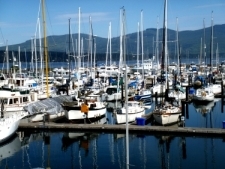 Sequim, Washington is one of the most popular retirement destinations on the entire West coast. Here is an insider’s view of why Sequim is such a wonderful place to live. I’ll share seven reasons I love Sequim, and why you might love it, too. 7. Sequim has an amazing variety of recreational activities, such as fishing, boating, bicycling, hiking, flying, marathons, dog shows, farmer’s markets, boat races, bird watching, hikes into the Olympic National Park, skiing at Hurricane Ridge, short ferry rides to Victoria, B.C., horse riding, lavender farms, great motorcycle rides around the Peninsula, more volunteer activies than one can list here, dozens of hobby groups and clubs, and just about anything you can imagine for every age group. Come and see beautiful Sequim WA.